There are some caveats to keep in mind with the SKStoreReviewController, mainly that it isn’t guaranteed to actually show the screen; iOS decide this. On average, it appears the dialog will come up three or four times a year when requesting. As such, you should do some research and only request after your users have used the app for some time. When you’re in development, though, the ability to test the dialog will always be displayed, when your app is in TestFlight it will never be displayed. 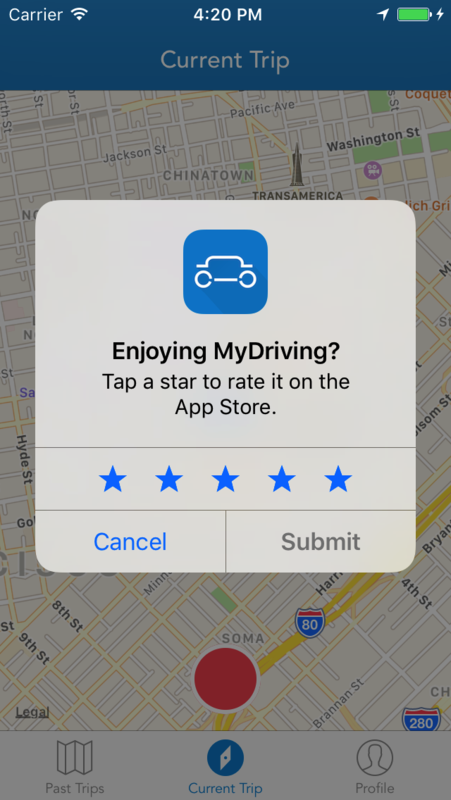 You can read about all of the APIs introduced in iOS 10 and iOS 10.3 on our documentation portal along with a full guide to requesting app reviews with this new mechanism.